When you start to see spots on your dishware, or notice that your laundry, coffee, tea, hair, and skin are not as good as they used to be, you may have a hard water problem in your house. Hard water is the most common type of municipal water supplied to communities all across the country. In order to combat hard water, one must install a water conditioning system, also known as a water softener. Aside from your dishes and appearance, hard water removal by water conditioning has some major advantages that can save you thousands of dollars in the long run. Continue reading to learn more about the importance of having a water conditioner on your home, as well as, where to start when shopping around for one. A water conditioner is designed to eliminate hard mineral ions in a water. The level of hardness is measured in terms of “grains per gallon” which refers to how many milligrams of calcium carbonate there are per gallon of water. Take note that 1 grain equals 64.8 milligrams, so if a home’s water tests at one grain per gallon, then the water is considered soft. Soft to marginally hard water will range from 1 to 3.5 GPG, and anything higher is considered moderately hard. And anything measuring above 7 GPG is considered hard water, while anything higher than that is very hard. 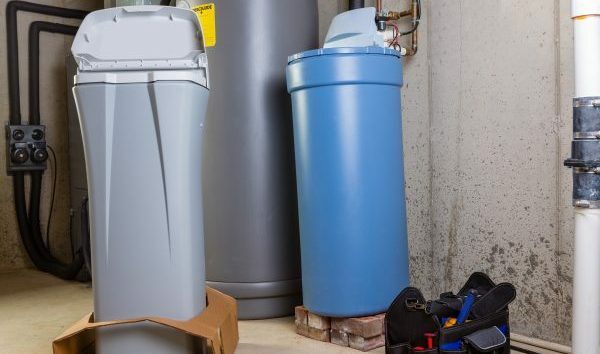 A traditional water softener requires softening salt and comes with a resin tank. In this tank, thousands of tiny resin beads that holds electrically charged ions. When the system regenerates, the beads fill up with sodium ions provided by the softening salt. This salt has to be purchased regularly and manually filled into the tank. The sodium-filled resin beads attract all the magnesium, calcium, and other minerals in hard water as it passes through, and trades them for the sodium ions. So by the time the water reaches the faucet, it has been softened by the ion-exchanging technology of your water softener. Hard water will cost you money in several areas of your home and personal life. The solid particles and contaminants in hard water accumulate over time, causing a buildup of sediment which can be highly obstructive and damaging to all of your water using appliances, plumbing, hair, skin, nails, and more. And because it reduces soap lather and effectiveness, homeowners spend much more on cleaning products and supplies. With soft water, your plumbing stays safe, which reduces the likelihood of costly repairs, your skin and hair stays healthy so you don’t have to spend extra money on beauty treatments and products, your appliances remain functional and in good condition which also reduces repairs and replacements, and it also reduces your water bill since you will have to use as much water to get the job done. Call Soft Water By Weilhammer Plumbing at 317-749-0949 for professional and affordable water conditioning in Indianapolis, Indiana. We provide cost-effective solutions for hard water and water purification, including water softeners for sale, for both residential and commercial properties. Request a free estimate to get started. 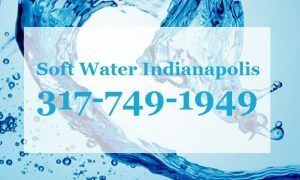 This entry was posted in Water Conditioning and tagged benefits water conditioning, water conditioner benefits, water conditioners for sale, water conditioning Indianapolis, water conditioning tips. Bookmark the permalink.